The NNSS proudly partners with its current customers to develop and enhance applied technologies and provide solutions to pressing national security needs. We offer our partners access to the NNSS’ science, people, and infrastructure. 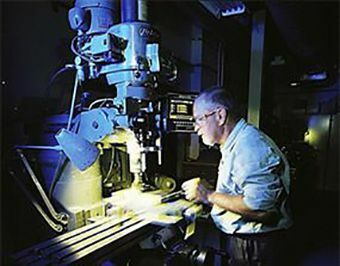 Collaborations with industry, small businesses, universities, and government agencies on applied technologies support the NNSS’ primary mission for the NNSA and develop new products and services to contribute to energy independence, enhance national security, protect our environment, and increase economic prosperity. Non-federal entities may enter into a variety of technology partnership agreements with the NNSS. Federal agencies can engage through interagency agreements with the NNSA to obtain NNSS services under our management and operating contract with NNSA. 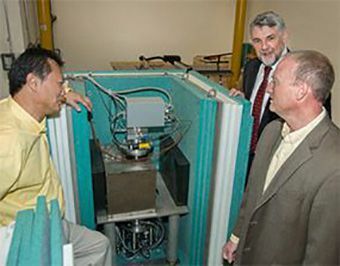 The NNSS and one or more partners outside the federal government collaborate and share the results of a jointly conducted research and development project. Partners can be domestic or foreign and generally come from industry, nonprofit organizations, or academia. The NNSS transfers intellectual property rights to a non-federal partner through a license agreement. Intellectual property includes patent applications, patents, copyrights, and trademarks. The NNSS performs work on a reimbursable basis for a federal or non-federal entity from private industry, state and local government, nonprofits, or academia. The Technology Transfer Ombuds offers an informal process to help resolve issues, concerns, and occasional conflicting needs and interests. These can sometimes surface as part of the NNSS' technology partnerships, patents, intellectual property concerns, and licensing activities. As a designated neutral party, our Ombuds provides confidential, resolution-focused services, and can also offer guidance to other resources for formally reporting and resolving issues. For more Tech Transfer Ombuds information, contact Public Affairs at (702) 295-3521 or email Nevada@NNSA.doe.gov.